"Begins here first account of operative me, agent number 67 on arrival midwestern American airport greater _____ area. Flight _____. Date _____. Priority mission top success to complete. Code name: Operation Havoc." 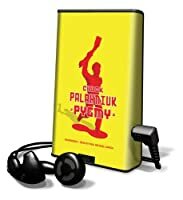 Thus speaks Pygmy, one of a handful of young adults from a totalitarian state sent to the United States, disguised as exchange students, to live with typical American families and blend in, all the while planning an unspecified act of massive terrorism. 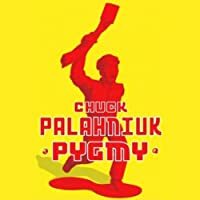 Palahniuk depicts Midwestern life through the eyes of this thoroughly indoctrinated little killer, who hates Americans with a passion, in this cunning double-edged satire of a xenophobia that might, in fact, be completely justified.